Don’t Miss the Glorious Museums of Ahmedabad - GoodGuysBlog.com - New, Technology, Marketing, Health and So on. Ahmedabad is filled with industrialisation and textile industry. But that is not all! There are diverse tourist destinations in this city that leave the visitors enthralled. You can find many outing spots, monuments, museums, shrines, artistic spots and much more here. Even the best hotels in Ahmedabad are drenched in the char of Ahmedabad. Just go ahead and experience the glories of this capital of Gujarat. Here, you can take a look at some of the museums of this city. 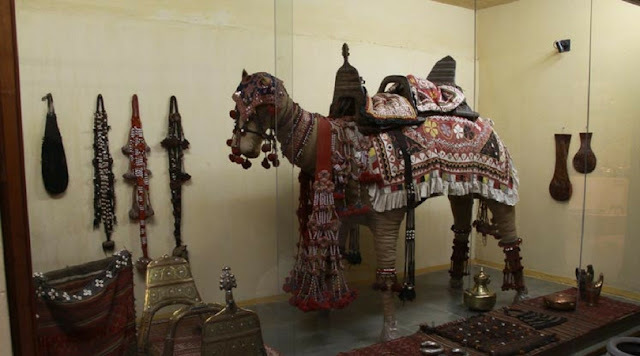 The museum is popular among tourists and whoever pays a visit to this place, gets a chance to witness a huge collection of strange textiles like royal tents, carpets and extensive costumes. The museum was constructed in the year 1949 and it displays outstanding collections of seventeenth and eighteenth centuries. The collections house spiritual artworks on cloth, brocades, embroideries and silk textures and Kashmiri Shawls. The museum is located in ShahiBagh Gardens and is scattered in twelve rooms and in two stories. Once you enter this museum compound, you can witness another haveli that displays an outstanding collection of bronze icons and paintings. SardarVallabhbhai Patel museum was established in 1978 by ShriBabubhaiJasbhai Patel who was then Hon. Chief Minister. The museum was later modified in twenty thirteen with additionof interactive exhibitions. The museum displays pieces and belongings of SardarVallabhbhai Patel. The museum also houses two multimedia halls that shed light on diverse aspects of life of Sardar. This museum has information available in 3 languages i. e. Hindi, Gujarati and English so as to make sure that the visitors can access everything information without any discomfort. The most exciting attraction of this museum is the 3D light, sound and lasers shows. It is a unique setup that takes you back in time and narrates the tale of motherland, India. There is much more housed in this rich museum. Mahatma Gandhiji, father of Nation was such an outstanding personality of the contemporary era that it is difficult to imagine that such a character had ever walked on earth. He established Ashram on the bank of Sabarmati on seventeenth June 1917. Gandhiji resided there for several years but never return to this Ashram after the Dandi March. A museum was also built later on in 1963 and in this museum nearly 34,177 letters written by Gandhiji are preserved. Many objects, day today stuff and items of Mahatma Gandhi can be found in this museum. It indeed gives a quick yet vivid picture of the life of Mahatma Gandhi. The overall environment of this ashram and museum is extremely calm. If you are a history lover or a researcher then you must not miss out this spot. Thus, the moral of the story is that these museums coupled with other museums unfold the richness and extensiveness of the past of this city. Just look out for best resort in Gujarat and walk through these museums during your Ahmedabad trip!